Railpictures.ca - Robert Farkas Photo: CP 4053 (CLC CFA16-4) sits in the shadows outside the CP engine house in Nelson, British Columbia. Part of Nelson is reflected in the windows. | Railpictures.ca – Canadian Railway Photography – photographie ferroviaire Canadienne. 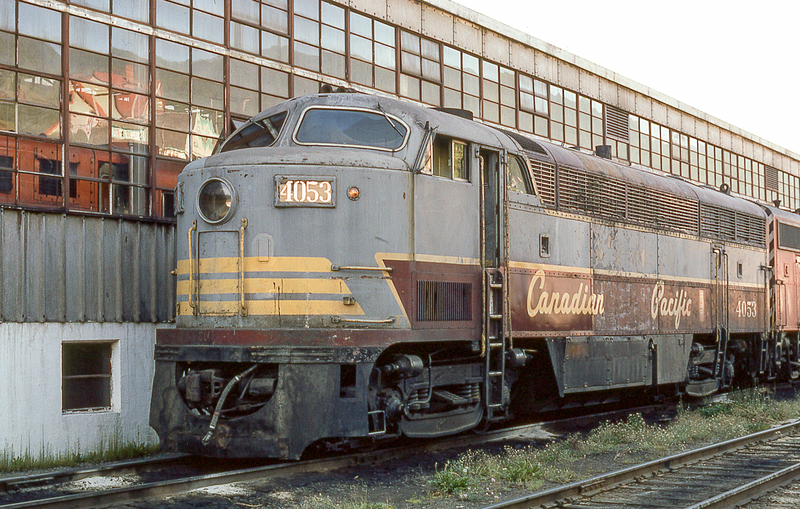 Caption: CP 4053 (CLC CFA16-4) sits in the shadows outside the CP engine house in Nelson, British Columbia. Part of Nelson is reflected in the windows. Something very special in the styling of C-Liners. Glad the Canadians have been responsible, and have preserved two.